Sarasota is a quiet simmering pool of humid languor in the summer months. The particularly invasive bird of the snow variety, the Snow Bird, migrates back to its Northern nesting grounds to do whatever bad drivers do in the North as the students, likewise, flee their musty dorms. For the select few, however, this quiet heat is the optimal habitat to spend these upcoming months. The water’s warm, the streets are less dangerous and, really, furniture can only be moved so far. And so, as this school year rounds down to its last leg of restless abandonment, the Tangent presents: the guide to a Sarasota summer. Let’s begin at the beginning: a bored someone is scrolling through instagram for the 20th time today in lieu of finishing their last final. Or perhaps this is merely “a break,” from the bustle. Well, an hour break of ceaseless scrolling is no longer a break, it’s a danger zone. Turn that deadpan “lol” upside down into deadpan trawl and instead of scrolling through the same photos for another hour, go scroll fishing through the forum in search of a new temporary abode. There are plenty of homes around Sarasota that boast a rich history of student summer housing, but to the faint of heart: be advised. Accommodations are not always accommodating to the specifications of Physical Plant. The advantage of such fixer-upper locales, however, is the freedom. “But he was so nice he let us do anything,” Bernard continued. Third-year Jackie Christie, who stayed at Jungle House in the summer of 2017, also warned against unruly landlords. Leaving campus is going to be tough if, like the Tangent office, one’s amassed a large amount of miscellaneous stuff such as two semester old fruit salad. Bring those personal treasures to the free store. One person’s fruit salad is another person’s summer science project. Once one’s secured a hovel, the next step is to do as the Beach Boys do: get there fast and then just take it slow. Airport Mini Storage next to SRQ is Forum recommended for those large items only used during the school year such as large ottomans and soggy language flashcards. Reward this hard work with a dip in the freshly baked bathwater that is the Gulf of Mexico. Beaches are of abundance in the Sarasota-Bradenton area. If last year’s winner of TripAdvisor’s Travelers’ Choice Award for best beach in the U.S.–Siesta Key Beach–is too crowded, head to Beer Can Island on LongBoat Key, which is also becoming increasingly crowded as the Tangent continues to promote and write about the contours of smooth, quality driftwood washed upon its shores and the magnificent dolphin sightings off its coast. One can only go to the beach willfully not sporting sunscreen SPF 30+ for so many days, however, until moving is limited by searing burns. Slap that screen on those shoulders to reduce the beams. Places to eat are a plenty. Refer to that last semester Catalyst article, “Cheap Eats in Sarasota,” people didn’t read because they were too busy doing homework for a detailed list. If one has had enough salt there’s always Myakka! To wind down these lazy days of lore, head to Growlers Trivia for some free pizza on Wednesdays if they still have trivia nights after the ownership changed earlier in the semester–which the Tangent also covered. If age is a problem, the kids meal at Burger King across the street comes with a choice of juice boxes. All small slides aside, Dave at Shell will still be around selling age appropriate beverages and snacks for those vacationing close to home (campus). Good ol’ Dave. Speaking of which, Phil from Shell recently left for Miami this semester to live closer to his family. 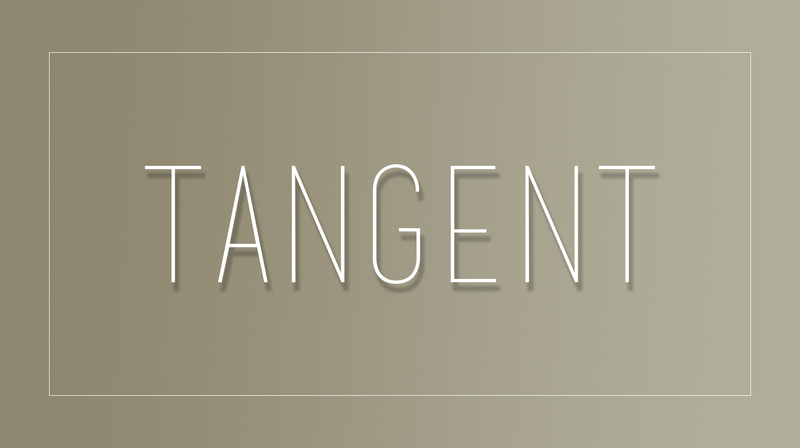 The Tangent takes this moment to wish him well. Speaking of moving: still haven’t found a place to stay? Camping on campus is strictly illegal, even if one brings their own tent and only leaves organic waste. There is one summer service the college does provide for what’s left of the graduating class: an LSAT tutorial sponsored by Mike Pierce, General Counsel. So if someone’s like me–a humanities student without much direction–they may want to look into that. Probably, though, they just want to get the hell out of Dodge. This article was not endorsed by Airport Mini Storage or unruly landlords of the New-College-loving variety. Information included in this article was collected from TripAdvisor.com and various interviews.